Home › Blog › What are the protective materials for x ray high voltage cable? In medical treatment, x ray high voltage cable are used to connect high-voltage generators and spherical tubes to transmit high-voltage, so the external protective materials of x ray high voltage cable are highly demanded. 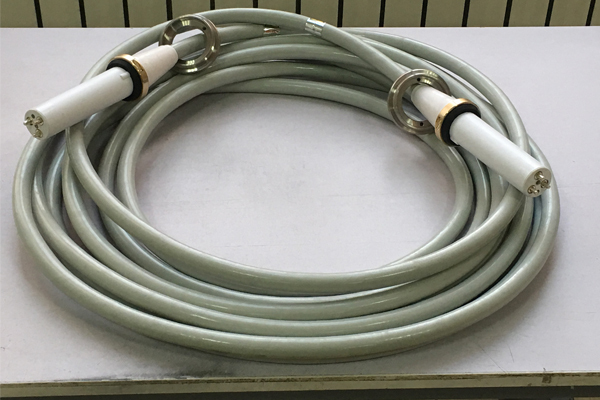 The sheath of x ray high voltage cable is made of gray PVC material. It has non-flammability, high strength, weather resistance and excellent geometric stability. PVC has strong resistance to oxidants, reducing agents and strong acids. The characteristics of PVC materials are suitable for x ray high voltage cable under high temperature and high pressure for a long time. The thickness of sheath is 1.5 + 0.3 mm and the diameter is 18.5 + 0.5 mm. In terms of thickness, sheath also has a good protection effect on x ray high voltage cable.